You install a new black mask on the back of the original panel as to let the light come thru the tail lights on the cars. 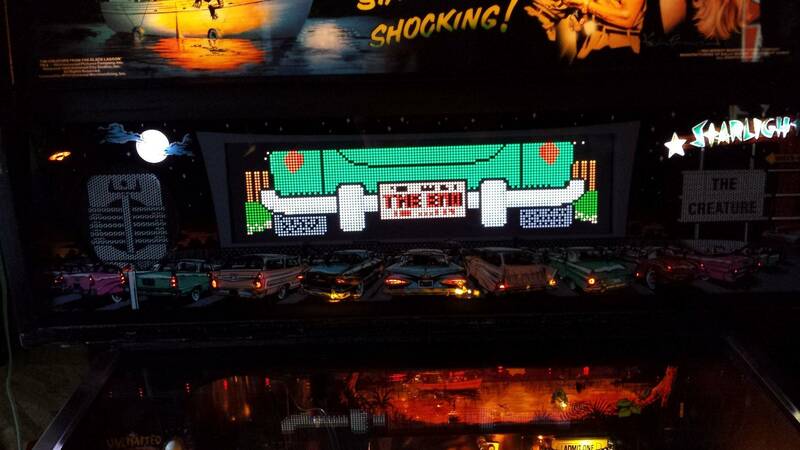 The panel works good with a color DMD as long as its not the first run of panels. The quality of the item is well worth the wait. It did take quite awhile from the time of my order until I received the mod. My understanding is he has to hand build some of the components now, has limited help and is short of time. If you are at all on the fence about buying it and should it be available for purchase...I would give Jeff the highest rank for communication and quality of build. I have tried to contact the op with no success so I am not sure what to do here. It was not always easy to communicate with Jeff, as he was very busy. He always did get back to me however. Okay thanks- did you just PM him on pinside or did he have an email that he used? Through Pinside. He was delayed getting back to me as well but he did respond. Just got my notification this week. Was a solid 3 months with near radio silence, BUT...that's because I didn't reach out to him after he let me know "You're on the list." Things like this take time, and I know the last thing he needs is someone saying "Is it ready yet?" over and over again. Should get it in the mail this Thursday. After all the reviews and the multiple batches he has done, I know this is worth the wait. Looks fantastic!!! Yes you will love it. One of the nicest mods to date. Worth the wait. 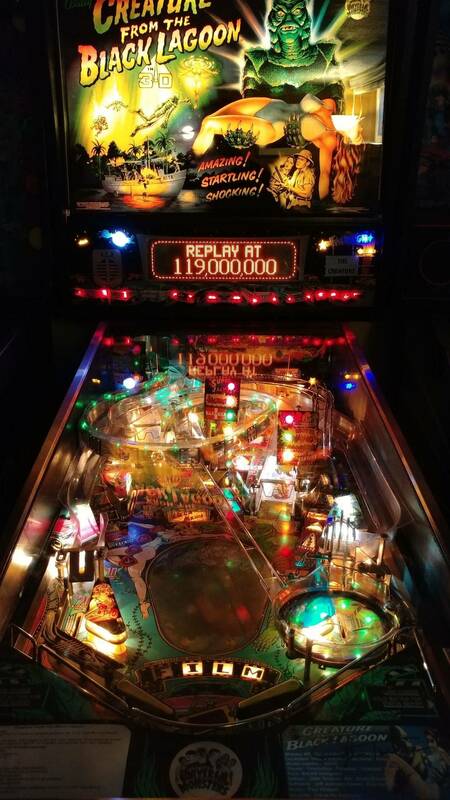 Life is busy, pinball is hard. 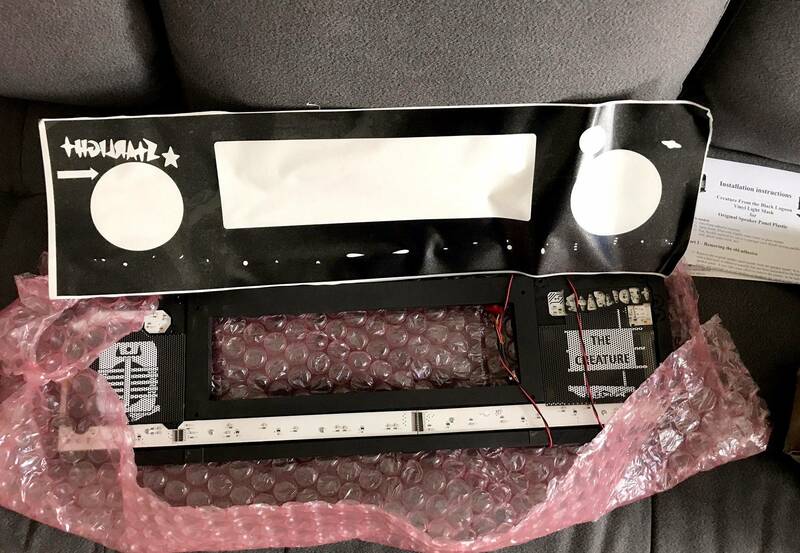 Once you clean all the adhesives off the back of the speaker plastic, you take the vinyl cutout and align it with the artwork to the best of your abilities, so that when you turn the game on, the vinyl will diffuse the light in the key areas (car tail lights, ufo, movie sign), and the lights will be nice and bright, correct? I just want to make sure I am doing this right the first time. I put the plastic panel up against the LED board without the vinyl layer, and I got a lil worried at first until I thought about the purpose of the vinyl layer acting as a dispersal mechanism for the light. I believe that people said that the most difficult task is removing all the old adhesive (use Goo Gone or something similar) that is left behind after removing the old vinyl mask so I am indeed making the assumption that the original vinyl mask was replaced with the new vinyl mask that is provided by Jeff with the cut-outs. Thanks guys. I got all the black backing off. Man, that took a while. It'll be worth it though. Hopefully going to finish the install tonight. Yeah, I did it a few months ago, it took over an hour to get the backing off. But mine turned out awesome, I really love this mod. Taking the original backing off was a pain in the rear. I initially thought of only removing the backing from the areas that would only be lit like the sign, tail lights and moon and then use the mask Jeff provided to cover these areas. But when I started, it made more sense to remove all of the old backing no matter how nasty it was. The goo gone was a god send as it took all the old glue off with no issues. I also did the wet method of laying the backing onto the panel but I cut it in sections to make lining up the important areas easier. Worked out just fine. As difficult as it is, I would suggest patience. Jeff's reputation is solid and the item is well worth the wait. Try contacting him through Pinside. It can take awhile as well but I am certain he will communicate with you. Over seas shipping has always been exhausting in my experience. I PM'ed Jeff about my interest in the panel and he replied that I was "on the list". 5 months later Jeff PM'ed me that the panel was ready to ship. I paypal'ed and the panel was "delivered" in 2 days. Have patience, the results are worth it. That's exactly how it worked for me too. He does them in batches that can be many months apart. If anyone is interested,I have a speaker panel from jeff that was never used and for sale. It is the latest version and I dont need it. $225 plus shipping. Pm if interested. Question: Does this fit with the color DMD? It fits both lcd and led, I’ve used both with it.